Providing you the best range of mobile rack, mobile storage system and mobile compactor storage systems with effective & timely delivery. Spanco Mobile Rack are designed for use in places where there are limitations on available space. Our range of high quality mobile racks have aisles only on one side. 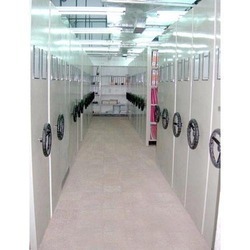 The design, color, pattern, size & dimensions of Mobile Storage System can be customized depending on space availability & client requirements. 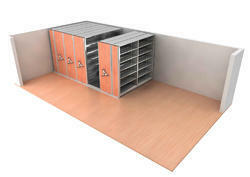 We offer this storage system at moderate prices for our clients. We also assists clients during the installation process & guide them to maintain the storage system. Our company is immensely renowned in the market for offering a supreme quality assortment of Mobile Compactor Storage Systems to our customers. Outstandingly constructed these offered compactors are manufactured in close coordination with our customers’ needs and requisites. Apart from this, we check the entire array stringently before final shipment. Looking for Mobile Compactor Storage Systems ?